Elon Musk has already become a well know name for anyone with even the slightest interest in technology thanks in no small part to his plans of providing cheap internet to everyone via a global network of satellites. Some might understandably find this idea to be a little far fetched, but in fact, this is only the first step in the famous tycoon’s master plan. Soon humanity will be ready to start settling on the neighboring Red Planet and our first brave explorers can take comfort in knowing that internet will be readily available to them when they arrive. That’s right, Elon Musk wants to bring internet to Mars someday, although this will only happen once our own planet will be surrounded by a veritable fleet of satellites. “It will be important for Mars to have a global communications network as well,” said Elon Musk in a recent interview.”I think this needs to be done, and I don’t see anyone else doing it.” But before thinking about fast internet browsing, the Mars colonists will first need a place to stay. NASA already has a couple of ideas for bases on the planet, but Elon Musk thinks that a full-fledged city would be even better. Apparently the plan is to pay for this city with the revenue generated by the upcoming satellite network, which might not be such a bad idea all things considered. 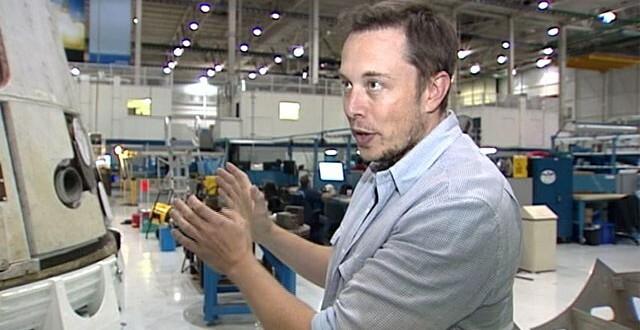 It goes without saying that the CEO of Tesla and SpaceX must first finalize the first part of the plan before seriously thinking about the best way to provide future Mars colonists with high-speed internet.